Window Safety Week coincides with the arrival of spring, when homeowners naturally want to open the windows and let in fresh air. Its goal is twofold: for families to understand the role of windows in escaping a fire or other emergency and to learn to safeguard against accidental window falls. The Window Safety Task Force of the National Safety Council proudly observes Window Safety Week each year during the first full week of April. Print their window safety brochure, checklist and kids' activity book, and share them with everyone in your household so they are aware of their role in window safety. Our hope is that these lessons will last a lifetime. Develop an emergency escape plan and practice it during the day and at night. Children are twice as likely to sustain a fall-related injury at home than at a childcare facility. Window falls occur more frequently in urban areas. Window falls account for about eight deaths and 3,300 injuries among children 5 and younger each year. "It only takes seconds for a preventable window fall to occur," said Amy Artuso, program manager at NSC. "To avoid these needless tragedies, it is very important for parents and caregivers to take steps to prevent home falls." Remember that insect screens cannot support a child's weight. 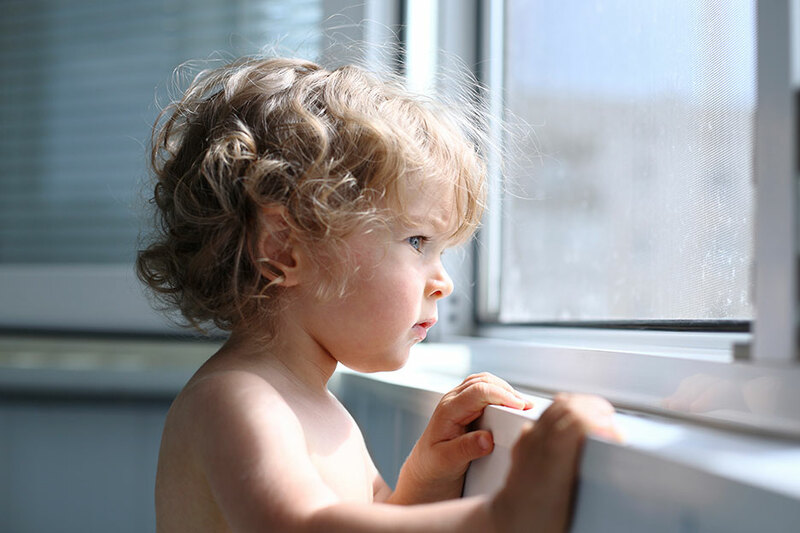 Never leave children unattended around open windows, with or without a screen. Windows within a child's reach should remain closed. Don't place furniture under windows; children can climb and potentially fall from an open window. Keep children's play areas away from windows, balconies or patio doors. What Is the Window Safety Task Force? Formed in 1997, the Window Safety Task Force works year-round in conjunction with NSC, the Consumer Product Safety Commission, Safe Kids Worldwide, the International Code Council and other safety advocates to promote window safety awareness. Members include representatives from the American Architectural Manufacturers Association, the Window and Door Manufacturers Association, the Screen Manufacturers Association and other organizations.